Today I have a guest post from a Realtor in The Woodlands, Texas - Jarrod Frenzel. It's always interesting to see different areas and learn how they're doing on the other side of the country! The Woodlands Texas is located approximately 25 miles North of Downtown Houston along Interstate 45. The Woodlands is a master planned community that started development in the late 60's and covers over 28,000 acres of once dense forest. The developer put a lot of emphasis on keeping The Woodlands green and the community still has 28% of green space in the form of parks, greenbelts, open spaces, forest preserves, and golf courses. Even though the population is nearing 100,000 now, it still feels like you are driving through a tranquil forest. The town has been the best selling master planned community in the state of Texas for 8 years in a row. The Woodlands is such a large development that it was broken into smaller villages in order to keep its small community feel. All of the villages are connected through Village Centers, walking trails, parks, schools, and places of worship. The community includes a town center that serves as a downtown business district for the entire region. The town center is very urban and has excellent walkability including a regional shopping mall, the tourist-attracting waterway, a large outdoor amphitheater, and class "A" office space. The Woodlands boasts 6.7 million square feet of office space throughout the development. The Woodlands real estate market has held its value well through the recession. While other states have had their problems, Texas as a whole was not as devastated by the recession and housing problems. Oil and gas has kept the economy strong in The Woodlands. There are many industry related jobs here and Downtown Houston provides a very close commute. The Woodlands homes range greatly in price with a large amount of custom and luxury homes. Currently, there are 55 active listings on the MLS priced over $1,000,000 and capping off at $7,500,000. The median home price in the community is $285,000, with a very balanced inventory of homes. The Woodlands started out as a suburb, but is thought of now as its own thriving city. While it is still not technically an incorporated city, it offers all of the amenities of a thriving urban center while maintaining a small town feel and strong sense of community. 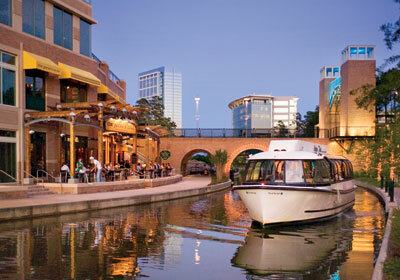 The Woodlands is a great place to live, work, and play. If you're interested in more information about The Woodlands, Jarrod would be happy to hear from you. He can be reached by email with Jarrod at NorthStarMail.net (please format with the @ mark) or by phone at (281) 658-7389. Thanks to Jarrod Frenzel for an interesting post! Everything you need to know about installing a pool for your whole family, including an infant. A big question many parents ask themselves when considering to install a pool is whether it’s the wisest idea based on how old their kids are. There is a small school of thought that advocates no swimming pool till the children learn how to swim, but with the solid range of safety fences now available, this seems shortsighted to say the least. Not only that, but construction noises while baby is sleeping is a very bad idea. Provided you have a healthy pool with the right pool pump and cleaner, there is no reason why installing a pool before you have children isn’t a great idea. We’ve put together this list of tips and advice for ensuring you choose the right pool for your baby. The benefits of a swimming pool for infants: Not only is swimming a very valuable activity while you’re pregnant, but even after the baby is born a pool can be useful in a whole range of ways. From regular bathing and cooling a fevered child in your arms, to the safety advantages of learning how to swim at an early age, a swimming pool is a good investment. Consider also the fitness and recreational benefits for the mother of a young infant, because you have to look after yourself before you can look after anyone well. Consider installing in a pool with very shallow sections, or large steps: This is the safest most child friendly way to introduce your infant to water. You may choose to use a very shallow, inflatable pool until your infant can happily communicate, but many parents have found that sitting with a baby on the first or second step into the pool is a great safe way to introduce the baby to the pool, while supervising older children. Do not leave the baby on the step unsupervised. Choose the right toys: Buying an inflatable or floating pool buggy for your baby is a safe way to watch your child while you float about. 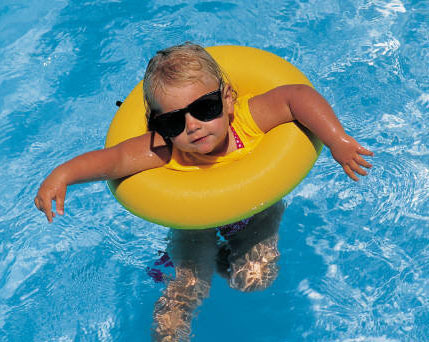 Do not buy toys that the child might trip over or reach too far into the pool for, and fall in. As the child’s swimming ability progresses, invest in quality floaties and never leave your child unattended, or more then arm lengths reach away. If your pool has no shade, consider moving some tall plants closer to the shallow water, and buy rashies and water hats to keep your child from getting sunburn. Invest in a pool cover: A pool cover will prevent tragedy if your infant does manage to get inside the fence, by blocking the baby from the water and consequent drowning. The most important thing to remember is that you need to be constantly attentive while your child is anywhere near the pool. Make sure older brothers and sisters know not to take the infant into the water, or play rough splashing games when the littlest one is floating about. Pools are covered under a section called coverage "B" for detached structures. If you have this in your policy, it's usually for 10% of the dwelling coverage. For example, if your home is covered for $250,000, the pool (or other detached structure) is insured for $25,000.00. This is PROPERTY coverage, and can be increased if you don't feel comfortable with the amount. Also, with a pool you want to make sure you have enough liability coverage on your homeowners insurance. (personal injury, specifically) I suggest a minimum of $300,000, which is the policy standard and won't usually need to be added. In addition, most insurance companies require the pool to be fenced in. Florida has some specific rules about pool requirements which are listed on the AVA Innovations website that you might want to review as well. The cute photo on this blog is from their website. You may also be interested in a website for Florida insurance . Who has the Fairest Myrtle Beach Real Estate Website? 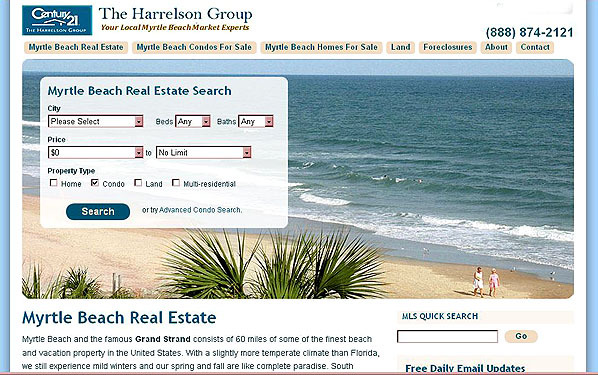 We are in the middle of one of the biggest projects we've ever taken on right now - building a Myrtle Beach real estate website for Century 21 The Harrelson Group. I had pretty much decided that the real estate market in Myrtle Beach was so slammed with websites that it was a waste of time to even try making another one, especially hoping to make it rank in the seach engines. The same condos have been described on hundreds of websites, hundreds of ways...there's nothing new left to say about any of them except perhaps a few new photos. But a Realtor friend that I've known for years has studied SEO as much as real estate, and he teamed up with a programmer to build an IDX and CMS that not only had everything a Realtor wants on the back-end, but is also perfectly optimized and easy for buyers and sellers to navigate. That still would not have convinced me, but when I met Greg Harrelson, I found a group of Myrtle Beach realtors that looked at their profession differently than most others. The Harrelson Group didn't materialize out of nowhere during the condo boom several years ago. They've been in business around 15 years. Greg Harrelson started taking coaching seminars 10 years ago and still takes them...only now he applies what he learns and coaches his own team of agents in the finer arts of selling real estate. Greg focuses on the seller as much as the buyer, which is so unusual in this day and time. He believes the listing agency has the most beneficial position, as well as the most power to help both buyers and sellers in the long run. 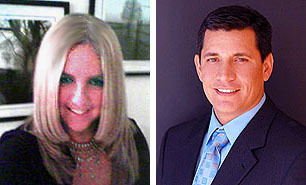 He trains his agents to find the property sellers first, and then let the buyers find them. Kind of a "build it and they will come" theory, and one that makes a lot of sense... And a LOT of sales. He also believes that a Realtor should give back to the community, and instills his team of agents with the fundamental belief that what "goes around comes around". Greg also believes that knowledge is power. We are building the biggest source of information on the area's real estate choices as possible. Where most real estate sites have a page for a development with nothing much but available listings, this website will have photos, tips, pros and cons about most of the Grand Strand housing communities. We aren't concentrating the effort on oceanfront condos, but providing information on the residential areas such as Carolina Forest, homes in Barefoot Resort, Surfside Beach homes for sale, Market Common, and more. Here's a YouTube Video About Greg Harrelson that illustrates his ideals and and expectations. I am a Myrtle Beach real estate agent and assistant to Greg Harrelson. I would like to take this opportunity to mention the "Master Your Craft" seminar where Greg Harrelson was the guest speaker, held at the CCAR (Coastal Carolina Association of Realtors) in August. Greg spoke about agents getting in the way of their own goals and success in life. He stressed the importance of MINDSET, and how it can limit or prosper you. Greg has taught his own agents that regardless of how impressive a business plan we have, and regardless of how big and sincere our intentions are - they will never come to pass without the proper mental training that goes beyond simply "knowing" what to do. I have had the honor of watching many people being coached by Greg and have seen how it has changed their lives. They were no different than anyone else with one exception - a willingness to open their minds, shut out the doubt, and have blind faith in taking on the training tips offered by Greg. From there, they have become some of the top producing agents in our area. Greg would love to see everyone succeed at that level, regardless of which company they work for - that's just who he is at heart and what he's truly about. I've never seen someone so passionate about what they do and with such a carefree, willingness to give and contribute without expecting anything in return. He has taught us that real estate is not about making a deal and getting a paycheck - it is so much more than that. It's about helping people make one of the biggest financial decisions they may ever make in their lifetime. It's about helping, advising, and contributing to the public and their specific needs. It's more than a job - it's a way of life and a way of BEING on a daily basis. These are the things Greg Harrelson is about and I hope it is something that our community is about or wants to be about. We should all come together as one strong community and support each other and our chosen way of life that is called real estate. Businesses in Myrtle Beach are getting it, finally. While the real estate and rental industries have been investing in great websites and social media marketing for years now, the restaurants and small local companies haven't understood how important a website and the internet are to their businesses. When is the last time you looked in a phone book? I haven't even picked up one in 2-3 years now. SO much easier it is to type something into Google and get the phone number! Easier to read, no heavy phone book to pick up and strain to read the tiny print. Websites and the internet are the most important thing to a business now that exists. Even more important is being FOUND on the internet, whether it be by SEO, social media, the online Yellow Pages, or whatever. The best of all is to be in Google Local (or Places as it's now called) to be placed in the organic search rankings, and to be in all the profile sites... like Facebook, Yahoo Local, Insider Pages, etc. 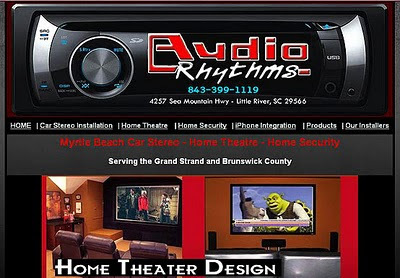 Some of our most recent business customers include Audio Rhythms, one of the oldest and most respected Myrtle Beach Car Stereo Installation services around. 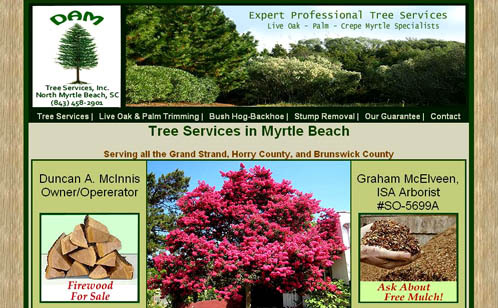 Our very first customer, CondoLux, has opened a new office for Condolux Myrtle Beach (the old one was in North Myrtle) and Duncan McInnis with DAM Trees, Inc contracted for a new website for his Myrtle Beach Tree Trimming services. I love this business! Every site I do requires me to learn about other places, businesses, insurance, and all kinds of things I would never think of getting involved with. I live in Paradise and manage to do what I love and make a living. Life is good! These Myrtle Beach Businesses Support Cat Month and the NMB Humane Society! 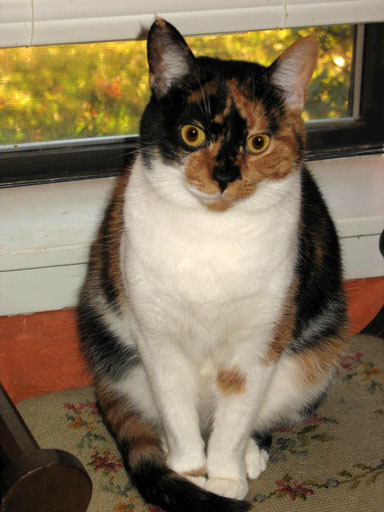 As we mentioned earlier, June is officially National Cat Month. I extended an offer to many of the local businesses to donate $100 to the Humane Society of North Myrtle Beach, and I would honor them on the blog and add their banner link to one of my websites. So far two of my favorite businesses in NMB have stepped up to the bat, and here are their accolades! 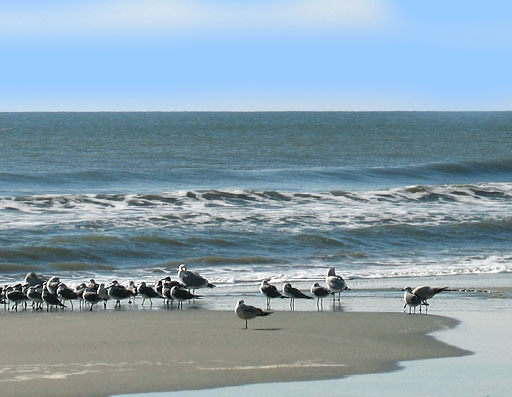 CondoLux of North Myrtle Beach - one of the best and oldest Myrtle Beach Vacation Rentals companies around. I asked for a few words from them and here's what they said! CondoLux Vacation Rentals in North Myrtle Beach has again proven to be a leader in the Myrtle Beach condo rentals industry. With an exponential increase in web traffic, discounted rental rates, the most competitive golf package pricing, and millions of dollars in real estate sales, CondoLux knows the vacation rental game. They offer over 300 condos, villas and beach homes for rent year-round, most oceanfront so you are overlooking the beautiful Atlantic. The cats in North Myrtle Beach thank you, Condolux, and so do we! My friend and my Allstate insurance agent, Scott Todd, is one of the nicest guys any cat could ever ask to meet. He graciously sent our cats $100 and saved a few lives that might have been lost! Our specialty is customer service and to protect your home and family to the best of our ability! We also have the best prices on SC car insurance and offer THE best deals when you combine your SC Homeowners insurance, boat insurance, motorcycle insurance, and more! Thank you to both of these great local businesses, and I hope to see some more companies donate to help the local homeless animals! We've featured Condolux on our website and page for Kid Friendly Hotels in Myrtle Beach, and Scott is on our Myrtle Beach Businesses page! There's still a month left to help our cats! If you are a local business, please donate and get some free advertising for your trouble! The Humane Society of North Myrtle Beach has a wide variety of cats and kittens waiting for loving homes. The Humane Society of North Myrtle Beach is celebrating Adopt-A-Cat Month this June. It’s an ideal time to adopt a feline, since the spring and summer months typically bring a surge of kittens and cats to the local shelters. Whether you’re looking for a fun, frisky kitten or a mellow, mature cat, you’ll find the perfect feline at our shelter! We have cats of all breeds, ages and personalities, and they’re all looking for loving, permanent homes. The Humane Society of North Myrtle Beach encourages people to enrich their lives by adopting a cat. Myrtle Beach is a family-friendly beach destination—which means in addition to great beaches, there’s plenty to do when the kids are sick of making sand castles. 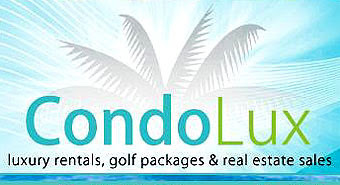 Amusement parks, water sports and golf courses are nearby. And family-friendly dining and hotels abound. This sounds like a big compliment, and when you consider we are listed along with runners up such as San Diego, Hawaii, and several of the best Florida cities, it really IS something. All the new luxury condo rentals are contributing to our popularity. Clearwater, Sarasota and Destin oceanfront resorts used to make us look like the poor relations...but not so much anymore. We'll be another Boca Raton eventually! In another division of the awards, Myrtle Beach came in at number seven for Best Family Destinations in the US. Although it's not often mentioned, more and more of the new resorts are becoming pet friendly hotels as well. It's hard to take off for a week (most of the condos here require a longer stay) and leave the family pet behind. It's great that more of the nicest resorts are making accommodations for the four-legged family members. Just finished a new website for Tree Services in Myrtle Beach, DAM Tree Services Inc.
As usual I spent quite a bit of time researching tree services, palm tree trimming, live oaks, and some of the equipment the tree guys use. I told one friend that before it was over with, I will know something about every kind of profession! I'm starting to get a nice collection of Myrtle Beach businesses, and more on the way. I have a partnership with a friend Melissa who also does web design, and she recently did a site for a local Myrtle Beach Swimming Pool Contractor, Arnold's Pool Company. 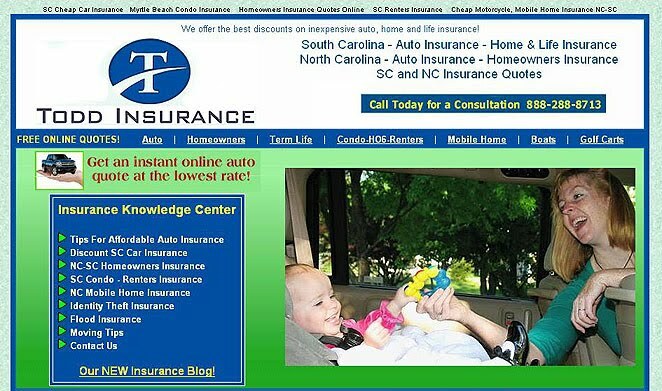 Several months ago I finished our local Allstate agent's site, Scott Todd, with the cheapest car insurance in SC. The 10th Annual Doggie Bone Hunt will be held Saturday, April 10th at McLean Park in North Myrtle Beach. Registration will be at 12:30pm with the Doggie Bone Hunt beginning at 1pm. 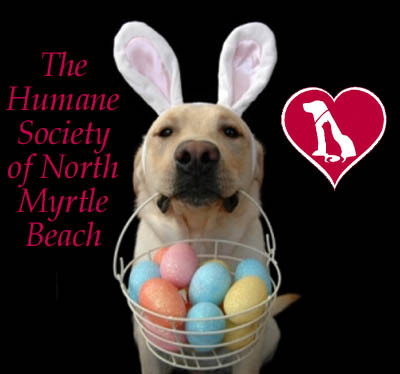 A $10 donation to The Humane Society of North Myrtle Beach will register your pet in the Doggie Bone Hunt. Prizes will be awarded to the owners/dogs who can collect the most doggie bones.....before the dogs gobble them up! Other festivities will include a bake sale, hot dog sale, pet games, crafts, Pet-Owner-Look-A-Like Contest, Best Pet Trick Contest and Best dressed Pet Contest. Music for the event will be provided by Big Bam Boom and Friends. ALL proceeds from the event benefit The Humane Society of North Myrtle Beach. For more information, please call 843-249-4948 or log onto http://www.humanesocietynmb.org/ . As someone who has an active profile on just about every social media site on the internet, I’ve found myself enjoying some of them, and completely turned off by others. They all seem to have their own type of personalities, and most seem to serve a specific purpose for a specific type of interest. 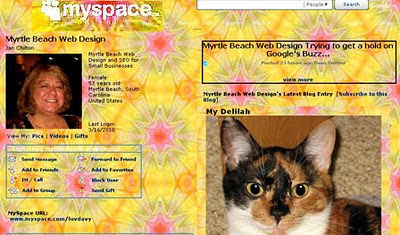 Myspace.com is predominantly musicians and celebrities, although becoming full of self-proclaimed entrepreneurs pushing MLM schemes or the mysterious “Secret”. Facebook still rules, and Google Plus is now the most important for business purposes. - unless you are a restaurant or specialty product. This is a great time to enjoy a vacation to Virginia Beach. The water might give a refreshing tingle, but you can play beach volleyball, build sand castles, go fishing off a pier and sunbathe! Of course, many Virginia Beach hotels offer heated pools so the kids can still get in their waterplay. Holiday Inn Oceanside is serving Dinner! Enjoy a Large 2 topping pizza and a 2 Liter of soda, enough for the whole family after building sandcastles and wave catching on the beautiful coast of Virginia Beach. Your Oceanfront accommodation is the perfect place to relax with one Free in room movie, the hard part will be deciding which one to watch. Breakfast for 2 included, Kids Eat Free. 2 nights lodging at our award-winning, Virginia Green Certified Inn, Daily multi-course breakfast, 2-hour Virginia Aquarium and Marine Science Center Whale Watching Boat Trip, Admission to the Virginia Aquarium, including a short feature film at the 3-D IMAX(R)Theater, and a dinner voucher. Take a day or two off from work. Leave the computer behind. Come to award-winning Barclay Cottage Bed and Breakfast, featuring antiques, hand-made quilts and Victorian home atmosphere - a romantic alternative to high-rise hotel/motel Virginia Beach lodging. Package includes: 2 nights accommodation in cozy room with pillow-top queen bed and private bath (some with jetted spa-tubs); multi-course gourmet breakfast each morning; bicycles for exploring; romantic dinner at one of several outstanding restaurants; split of champagne or sparkling cider with souvenir glasses; and chocolate covered strawberries. Price from $400/couple depending upon restaurant and package add-ons selected. Don't miss this Memorial Day happening, either! A "Star-Spangled" salute to good music and great fun! Live music on three outdoor stages. The "Heroes Walk" stretches along the boardwalk from 17th St to 31st St. A fireworks show on Sunday night completes the weekend, with bursts of red, white and blue light reflecting over the ocean in the thrilling climax to a great Memorial Day weekend. According to the Sun News, the new Myrtle Beach Boardwalk is 99% finished on the north side, from Mr. Joe White Ave to 14th Ave North. City Manager Tom Leath says people are so excited about the new boardwalk that the construction workers are having a problem keeping them off the unfinished decking. Downtown store owners are remodeling their storefronts that meet the walkways, and trying to spiff everything up to take advantage of the visitors - hopeful that they will get some traffic in their establishments as well. Some have hired area architects to really make them shine. Leath says the Myrtle Beach Boardwalk should be mostly completed by Easter, and plans are in motion for some sidewalk cafes to bring it to life. The boardwalk is costing the city of Myrtle Beach Six million dollars, but it won't take long before tourist revenues will make that up. In the last few years, North Myrtle Beach condo rentals have seen more business than Myrtle Beach itself, and they need to do something like this to keep up with their "little sister city" who is beginning to outshine them. North Myrtle Beach real estate is going full guns as well, and if you check some of the search engine phrase counts right now, North Myrtle Beach is beating them in internet searches across the board. As well, the Second Avenue Pier is being remodeled, with a new gift shop and pier building going up in the next several weeks. The pier owners intend to build a new two-story parking and retail establishment to add competition to Cherry Grove's Prince Resort and shiny new pier. Let the competition begin! The better things are, the better it is for both cities and the entire Grand Strand area. North Carolina Barbeque in North Myrtle Beach! Finally! After 20 years since leaving High Point, NC, I just had my first meal of barbeque that is what I grew up with - red slaw and all. The Piedmont area of North Carolina, and its close neighbor, Lexington, NC has been famous for barbeque for a hundred years or more, I think. For sure it isn't the same thing you get in South Carolina. We don't use sauce made from ketchup. The meat is moist, but served plain. You put what you want on it, or nothing at all. The slaw doesn't contain mayonaise. The hushpuppies aren't sweet. If you're lucky, you finish it up with a serving of somebody's homemade banana pudding. When I go back home, I have two required meals - Henry James BBQ and Sir Pizza. The latter being the best pizza in the world, and nothing like any other pizza anywhere. In the past month or so, we've had two new barbeque places to open in North Myrtle. I haven't been to the other one, but when I go, I'll review it as well. Today I enjoyed the closest thing to my favorite Henry James BBQ at our new "Bar-B-Que House", which moved into the old Fazoli's restaurant close to the Cherry Grove exit on 17. Most people in North Carolina brag about Lexington BBQ. I've never been able to see that subtle difference between our little places in High Point and the "famous" Lexington barbeque, but many people swear they can. I think some of the Lexington stuff has more fat cut up in it. We had one place in High Point called Kepley's BBQ that was equally as "fatty". It has a better flavor with a little fat in it, I think...but nowadays everybody wants the lean stuff. So if you go to North Carolina, look up a Henry James. And the new Bar-B-Que House here is about as fat-free as any barbeque I've ever seen. Literally, I couldn't find even a scrap. It made the meat a bit dry, but when you add your favorite sauce to it, that's not a bad thing. And it's definitely better for your cholesterol! They have a nice little website at www.BestBBQontheBeach.com and a good copy of their menu can be found HERE. The prices are very reasonable (even cheap!) and the portions are nice sized. You can get a barbeque plate with hushpuppies and 2 sides for $6.99 or $7.99 for a larger plate. I didn't eat all of the regular plate, but I only got 4 hushpuppies and ended up ordering a side of them to finish up. The trick to eating NC BBQ is a bite of meat, a bite of red slaw, and a bite of hushpuppy all at the same time. The flavors blended together are what makes it! They offer some extra good side items - sweet potato fries, which I love, collard greens, green beans, red or mayonaise slaw, baked beans, corn on the cob, potato salad, fried okra, onion rings, and regular fries. Quite a selection! Aside from chopped barbeque, they also have slabs of ribs, barbeque chicken, fried chicken, wings, chicken strips, Brunswick stew, veggie plate with side items, and several combos. Ala Carte, you can get a bbq sandwich, burger, corn dog, hot dog, chicken, or even grilled balogna. The most expensive is a double burger for $4.99, and the others vary from $1.79 to $3.69. Very good prices. The side items alone are from $1.59 to $2.29. They also have seniors and kid's special prices. AND they serve breakfast. If you need more info, visit their website and menu. Good stuff! I was very pleased. I got out for under $12, and even had some banana pudding for dessert! I'll rate the Bar-B-Que House 4 Stars! Consumer Affairs reported this week that Chase Home Finance has seemingly been making its own rules for utilizing the federal incentives meant to prevent foreclosures. The $75 billion dollar federal program made strong guidelines for the participating mortgage companies. In return for agreeing to follow the guidelines, the mortgage companies are paid to modify loans, lowering payments to no more than 31% of income, lowering interest rates, and hopefully helping consumers to keep their homes. It seems as though Chase turned down a large percentage of potential modifications for a trumped up reason it invented, citing, "Your hardship is not of a permanent nature." So many homeowners were turned down that the Treasury Department explicitly barred the banks from using that as a legitimate reason for denial. They are telling homeowners that were denied to reapply, although Chase has not officially agreed to reassess their decisions. Chase in particular has been "outed" as being the worst offender. Anyone who is struggling to meet mortgage payments or facing foreclosure should read this article, and approach their mortgage company with the knowledge that there are programs available to help. Keep your South Carolina Car Insurance premiums low this winter by preventing problems and claims. 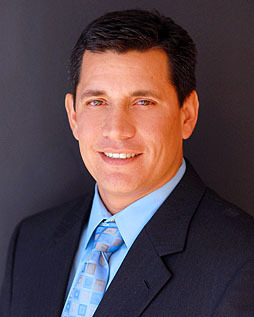 Below are some tips from Scott Todd at Todd Insurance Agency and Allstate Myrtle Beach. 1. Check antifreeze every year and be sure it will protect to extreme coldness. 2. Check the air pressure on your tires and maintain the manufacturer's suggested pressure. 3. If your location will have snow, be sure you have snow tires or at least chains available and ready. 4. To prevent your locks from freezing, buy inexpensive magnet strips and place them over the locks when you leave the car. 5. Wash your car frequently to prevent any salt buildup. 6. Carry a couple of roof shingles in the trunk to help with traction if your car gets stuck. 7. Replace an old battery BEFORE the coldest weather strikes. If you can't afford it, keep your vehicle covered or remove the battery and keep it in a protected place. 8. Carry a long piece of cardboard in the trunk and place it over the windshield when snow or ice is in the forecast. 1. Turn off outdoor water sources from inside. Some people wrap the spigot in cloth to help retain some warmth. 2. Remove any window air conditioning units. 3. Apply insulation tape to windows and around doors if needed. 4. Drain and store any outdoor hoses or fluid containers. 5. Keep your heat turned to 55-60 degrees even in vacant apartments. 7. Keep lawnmowers, blowers, tools, etc. protected and enclosed. 8. Be prepared with salt or snow tools ready and available. 9. Seal all cracks or crevices in the home to prevent mice or other animals from nesting in your home. 10. Check and maintain smoke and carbon monoxide alarms. Thanks to Scott for the article and the tips! Photos of Minneapolis in the snow by Renee Dahring, Nurse Practitioner Job Search Coach.